We are delighted to announce that online training from hospitality and tourism experts Flow Hospitality Training is now available from Course-Source, the one-stop-shop for businesses eLearning. As a result, businesses can easily procure this leading-edge hospitality and compliance training (and access it via their in-house LMS). Flow Hospitality Training is one of the best known training and compliance brands in their field. 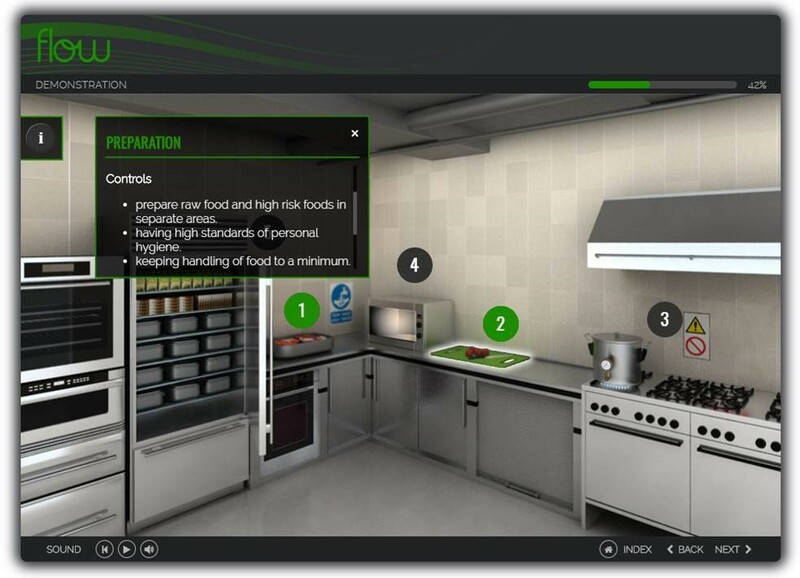 Building on 30 years of experience in the hospitality, catering and tourism sectors, and using the latest technology, Flow have created an eLearning suite comprised of engaging, interactive courses (typically 1-2 hours in duration). The content is designed to have a significant impact on productivity and profitability by developing and motivating staff, reducing training costs and increasing sales. Endorsed by the Institute of Hospitality [IOH], the Scottish Qualifications Authority [SQA] and Quality Marked by the Hospitality Guild, the courses cover the essential training for the industry including: food safety, health & safety, first aid, customer service, and the key skills for working in hospitality environments such as hotels, kitchens, bars and cafes. Our customers can save money by acquiring the exact number of course enrolments that they require (to meet the exact needs of their business) and can also “mix and match” between different courses in the range. Businesses with over 200 employees are invited to contact us for sample SCORM connectors which you can try out (for free) on your LMS.